Paula Erraught is a visual artist based in the Chocolate Factory. A graduate of NCAD, she has held solo shows and has participated in group exhibitions both nationally and internationally. Her work practice, as a mixed media, artist involves various techniques including painting, printing, collage and gilding. 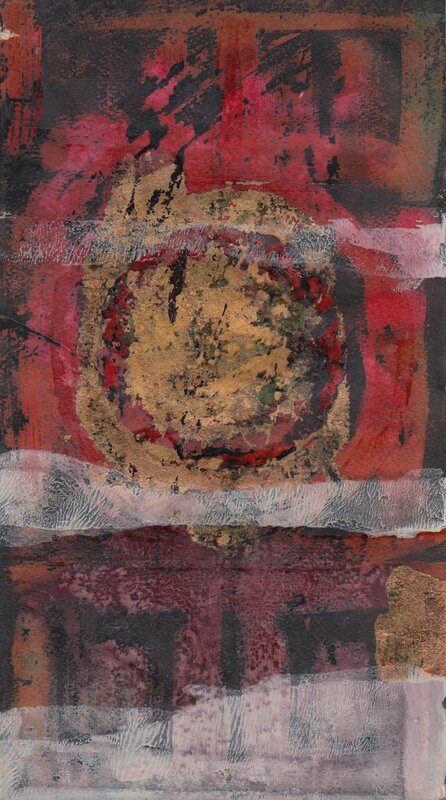 Progressing from macro to micro, she initially creates a ground which is then layered with hand painting and print. Paula likes to maintain an experimental approach, allowing space for chance and fluidity in her creative process. Her aim is to be simultaneously abstract and representational, embracing both possibilities. Themes such as the natural world, the elements and spirituality are all central to her art as is the importance of texture, time and patina. Time also plays a part in her practice in that she works on several pieces simultaneously, each at a various stage of development. In this way, a body of work can take from months to years to complete. 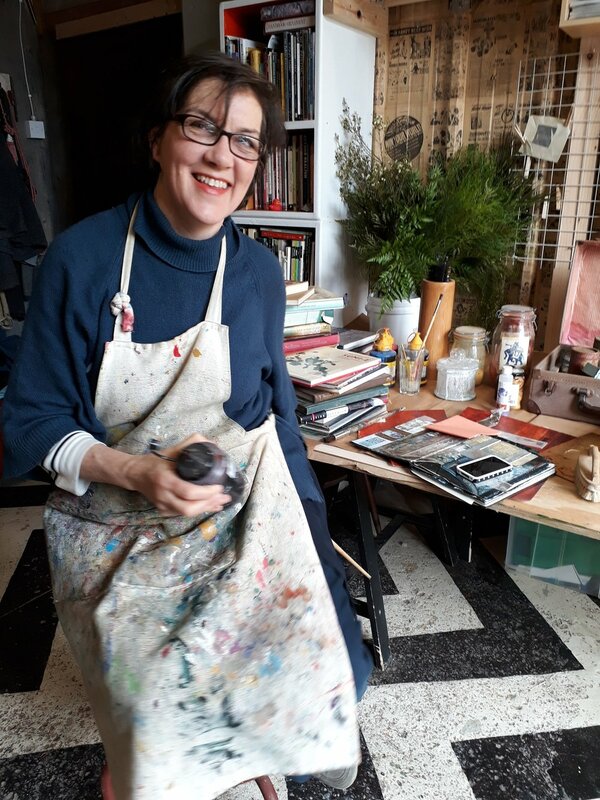 With many years of experience teaching and facilitating from primary to third level, Paula also focuses on mentoring as part of The Open Studio Programme. This programme invites beginners and experienced artists to take workshops where they are encouraged to explore and develop their creativity. Courses are designed for small groups as well as specifically tailored one to one sessions. They can vary from an individual session to a planned programme of supported studio time. The objective is to initiate a creative process and to provide a platform where its growth can be sustained.